BURBANK, CA (October 6, 2016) – Readers of the current DETECTIVE COMICS run have seen firsthand the prominent role that Kate Kane, a.k.a. 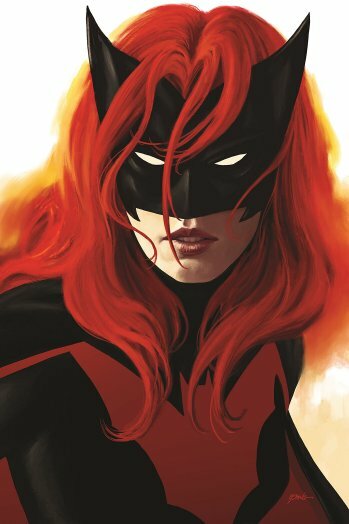 Batwoman, plays in training Spoiler, Orphan, Clayface, Red Robin and even Nightwing—the next generation of Gotham City’s protectors. This February, Marguerite Bennett (DC COMICS BOMBSHELLS, BATGIRL, EARTH 2: WORLD’S END) will be writing the new adventures of the heroine in an ongoing monthly series scheduled to debut in February 2017, with art by Steve Epting – his first work for DC in more than fifteen years. As part of the next wave of REBIRTH titles, the February title will be a REBIRTH-themed one-shot, with a new issue #1 to follow in March. As a preface to her new solo adventures, Bennett will join James Tynion IV on “Batwoman Begins,” a two-issue story arc in DETECTIVE COMICS. Following the Night of the Monster Men, Batwoman and Batman discover that the venom from the defeated monsters’ corpses is being sold as a bioweapon. After Batwoman comes face to face with the villain responsible, Batman gives Batwoman a mission that takes her around the world, creating the backdrop for her new solo series in February, whose first story arc will also be co-written by Bennett and Tynion IV.